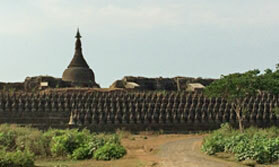 Rudyard Kipling described Burma (Myanmar) ‘quite unlike any place you know about’ and that still rings true today. In fact, with its recent history of isolation this is a country few people beyond its borders know well. Now that its doors are open to tourism you can become one of the privileged few to discover what this exotic, mystic land has to offer. In some senses little has changed here since colonial times, though outside influences are now just beginning to penetrate the main cities. Away from these you’ll still find villages and rural areas where people wear traditional dress as part of everyday life, travel with a horse and cart and earn their living as their fathers and forefathers did. Yet this is not a land set in aspic, it is changing, evolving, and to witness this gradual transformation is part of the fascination for the visitor. There are temples, monasteries and pagodas seemingly at every turn. This is a deeply religious society, where Buddhist monks are revered. The Burmese are wonderfully welcoming. Wherever you go you’ll see smiling faces, people eager to meet you and share their lives, culture and country with you. A visit to this special land will leave you feeling enlightened and enriched. 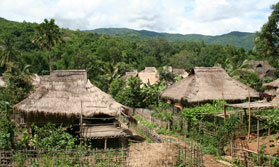 See the main sites and set off on foot into the Shan Hills on this varied and active holiday. 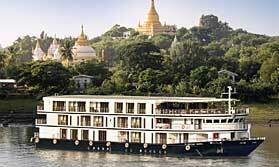 Temples and pagodas, palaces and villages, lakes and mountains, Burma is a land of contrasts and on this holiday you will experience it all. 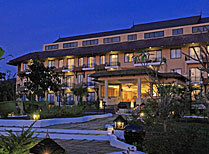 Below you'll find some of our very favourite places to stay in Burma. However you can also see our full directory of properties by clicking the "All Places to Stay" button. 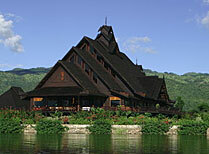 A lovely lakeside hotel with deluxe rooms and suites, a multicuisine restaurant and a spa. 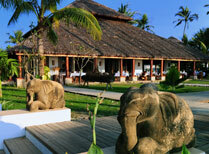 This charming resort is made up of traditional style chalets set by the shores of Inle Lake. 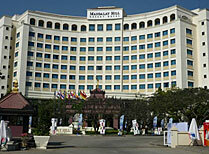 A large hotel in Mandalay with a choice of restaurants, pool, spa and gardens and several types of rooms. Perfectly placed for an early morning visit to the Golden Rock Pagoda, this hotel offers comfy accommodation and friendly service. With stylish villas, a great spa, restaurant and beach dining, this is lovely place to relax and take time out from sightseeing. Cruise in air conditioned luxury on this all-suite ship, with spacious social areas, sundeck and pool, spa and exemplary service. 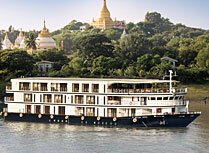 Start planning your tailor-made holiday to Burma. 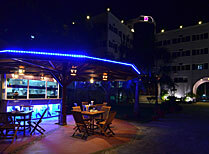 Tell us what you want, and we will tailor make your perfect trip. 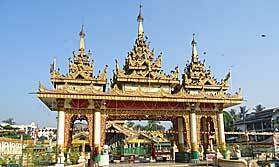  Flight time: There are no direct flights from the UK to Yangon (Rangoon). The flight time is at least 14 hours. 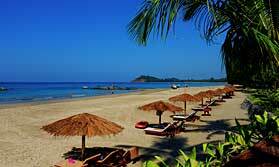  Language: The official language is Myanmar (Burmese). 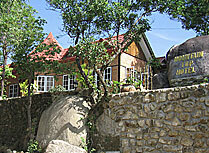 English is widely spoken in major tourist destinations.  Visas: At least 6 months from the end of your trip, and with plenty of room for entry and exit stamps. A visa is required for British travellers and most nationalities.  Health: Yellow fever vaccination is compulsory. Recommended vaccinations include diptheria, hepatitis A, hepatitis B, rabies, tetanus, cholera & typhoid. 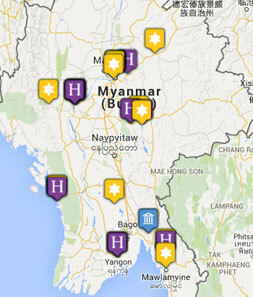 Malaria prophylactics recommended for some parts of Burma.